, which saw a ute, free from branding, put to the test in the Australian outback. Grey Melbourne and Saatchi & Saatchi Sydney are front runners in the Direct Lions, each with three finalists in the shortlist. 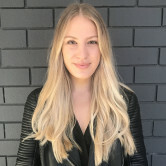 Clemenger BBDO Sydney, Leo Burnett Sydney, Whybin\TBWA Melbourne, Clemenger BBDO Melbourne and DDB Melbourne are front runners in the Direct Lions have been shortlisted twice. The #MakeDinnerTimeMatter campaign by Clemenger BBDO Sydney is up in the Integrated Campaign led by Direct category and the Food and Drinks category. The MasterFood’s ad toured the country asking a bunch of couples who their ideal dinner guest would be, before asking their some pretty cute kids the same question. It has been watched more than 1.5 million times on YouTube. Previously, Clemenger BBDO ECD Paul Nagy told AdNews the campaign was launched as a reminder to families not to miss the important moments. TBWA Melbourne’s work for ANZ, Pocket Money, is nominated for the Use of Social Platforms category and the Financial Products and Services category. It went viral in Australia, highlighting the gender pay gap in Australia capturing the candid reactions of brothers and sisters doing the same chores but not receiving equal amount of money as payment. Leo Burnett Sydney’s work for Bundaberg Rum, Cheer to a Legend, and its Celebrity Tantrum campaign for Samsung are named in the shortlist. 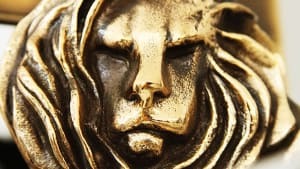 Australia scored a total 24 finalists in the shortlist for Direct Lions, with M&C Saatchi Melbourne’s 2 Litre Towel, Clemenger BBDO Melbourne’s work for Myer, GPY&R Brisbane’s Life Saving Stickers, Leo Burnett Melbourne’s ‘Reword’, Marketforce Perth 'Chicken Treat' and Grey Melbourne’s work for MS Australia also making the shortlist. Saatchi & Saatchi Sydney is also nominated in the Use of Social category for its Landcruiser Emergency Network and DDB Group Melbourne is nominated for its work on Westpac cash tutorials. Check out Radio Lions shortlist: Five Aussie agencies make the cut. In the Cannes Lions Direct shortlist DDB Sydney conquers with four nominations, including three for its work for Volkswagen ‘The Naked Ute’, which saw a ute, free from branding, put to the test in the Australian outback.